University of Health Sciences , Lahore Announce a lots a jobs in August , 2018 . University of Health Sciences , Lahore is one of the best health university of Lahore and Pakistan . If you are interested to join University of Health Sciences , Lahore then this is a best opportunity for you . 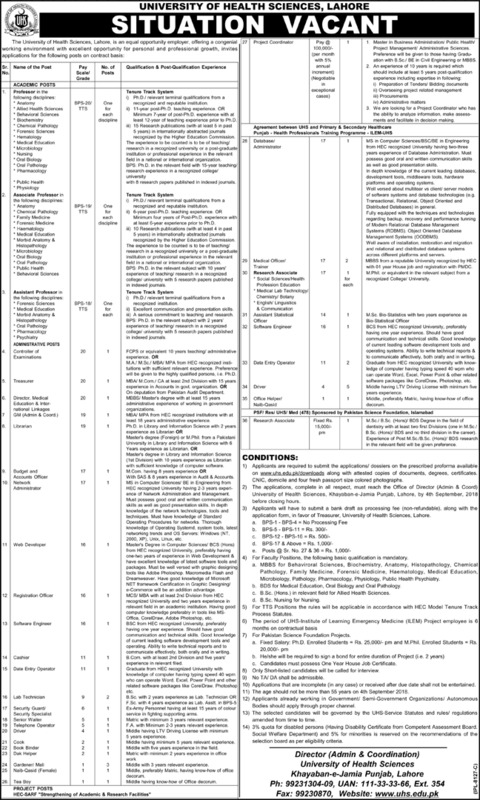 Applications are invited for Jobs in University of Health Sciences , Lahore from all over the Pakistan .